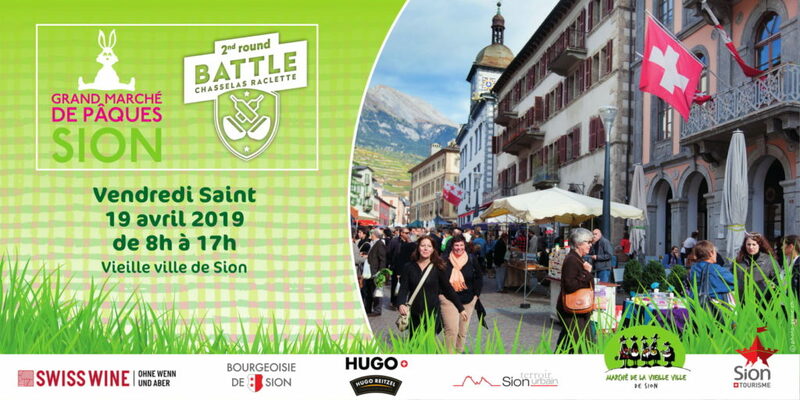 There will be a big Easter market in the old town of Sion on Easter Friday, the 29th April 2019 from 08:00 – 17:00. Over 200 exhibitors will be present. So, far the weather forecast is looking fine and sunny for Friday so it should be a good day out for all the family. 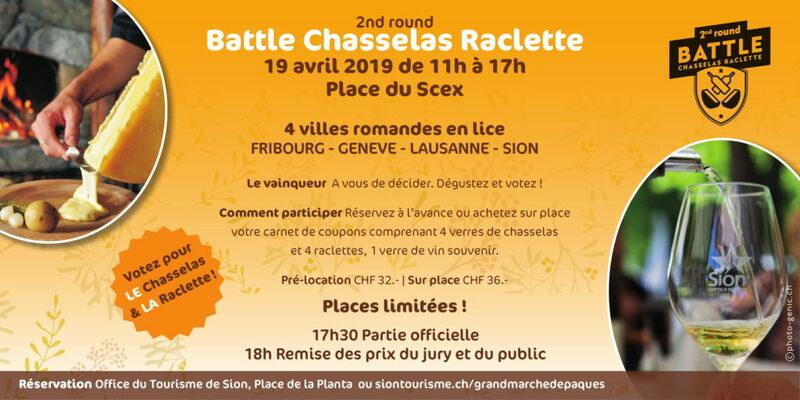 Also, check out the second round of the “Battle of the Chasselas Raclette” which will take place on the same day, from 11:00 -17.00 in Place du Scex on the same day, see details below. Reserve your place in advance to take part in the judging competition for your favourite Raclette or Chasselas! Contact Sion tourism for more info. 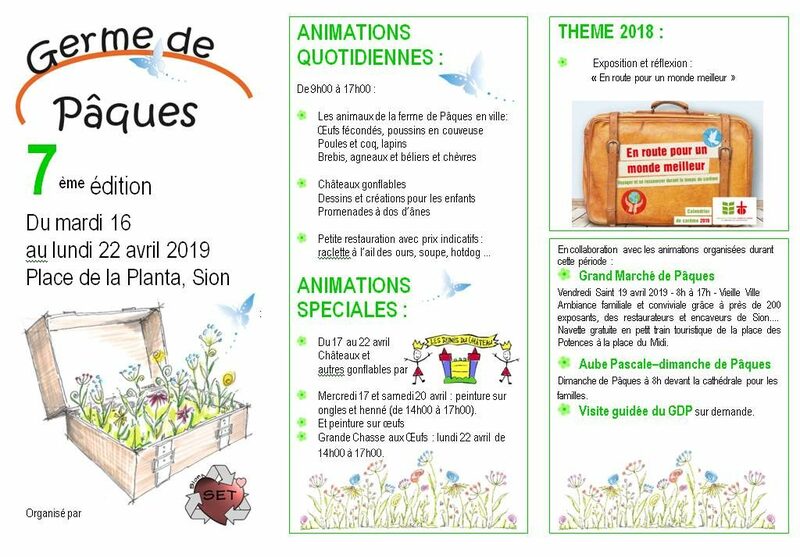 There will also be events in Place de la Planta from Tuesday 16th – Monday 22nd April for the “Germe de Pâques” organised by the “Set du Coeur” association. From 09:00-17:00 there will be rabbits, chickens, sheep, goats in the main square along with a bouncy castle, donkey rides and workshops for children. See flyer below.